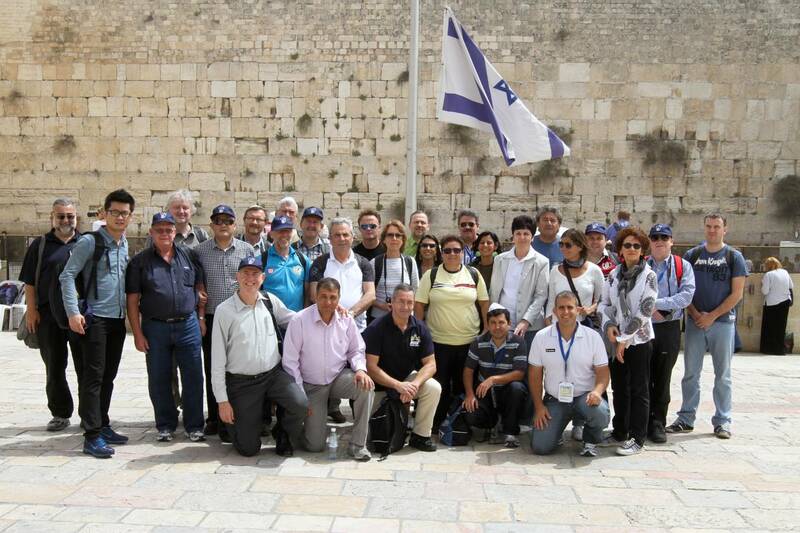 Between the 5th and 8th April 2013 I attended the executive meeting for the International School Sport Federation (ISF) in Israel. The blog that follows are my personal notes and you should be aware that the official minutes of the weekend will be presented in time for approval at the next ISF Executive meeting (Brasilia in December). I apologise for the the blog seeming to be simply notes – and not so much my own thoughts. The setting of the meeting – in a resort hotel in Herzliya , its proximity to so much making the world’s news headlines and over the Holocaust memorial weekend, gave a real poignancy to thinking about the worlds children and their education. 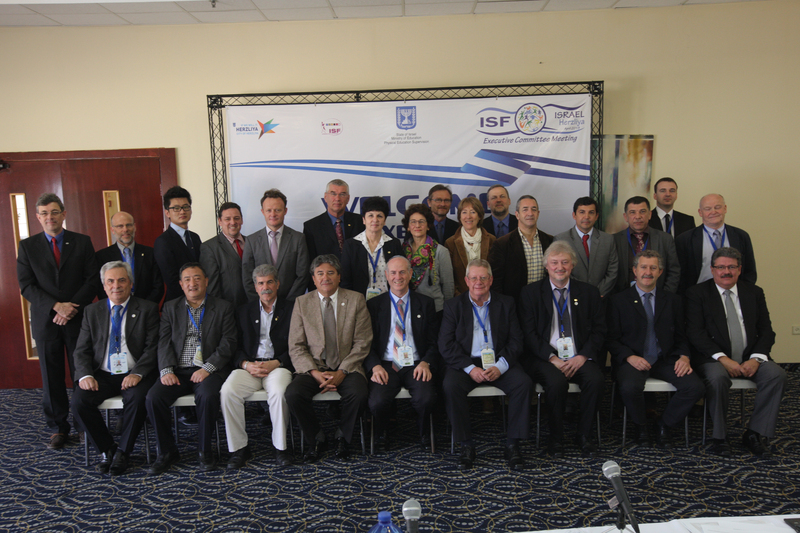 The ISF Swimming World Cup was also staged in Herzliya, and opened as the ISF Executive meeting closed. Throughout the weekend the Executive were really well looked after by our Israeli hosts. Experiencing a lavish reception with a banquet: attending a play in Hebrew recalling the Holocaust; visiting Jerusalem and the National Holocaust Museum. The Friday morning was programmed for both the ISF Management committee and the various executive-working groups to meet. In my own case – I met again with Joao Pedro Garcia (Portugal) and Avraham Zuchman (Israel). We were able to build upon the discussions from our previous meeting in Izmir, Turkey on Health and Education. The main issues are attempting to maximise opportunities during the various ISF events to include some health and education learning activities in each of the sport event programmes. It was felt this might best be achieved through encouraging the Technical commissions for each sport to pilot new ideas, with the support of course of the local organising committees. President Andrea Delpin (Italy) and the Vice President Reingard Anewanter (Austria) were absent and had sent apologies. Andrea had recently had an operation and Reingard had contracted a virus. We were pleased to learn that both were “on the mend”. ISF Treasurer Guy Fusenig (Luxembourg) is to attend a meeting with the European union officials about the possibility of financial support for a European Union Federation – i.e. under the ISF banner. ISF Secretary-General General Jan Coolen (Belgium) reported on the many events and meetings he had attended over the past few months. The Executive Marketing and Communications working group have recommended that a new post be created within the ISF structures on Communications and that specifically each local organising committee for an ISF event is requested to establish a marketing and communications post on the committees. These communication post holders would be asked to work directly with the ISF Marketing Director. It was also agreed that there is a perceived need to use established forms of social media as well as embracing popular web-based video and audio outlets. The Executive Education and Health working group reported their suggestion that aspects of health and/or education are included in the activities of each ISF event. It went on to recommend the aspiration that each technical commission working with local organising committees should pilot different aspects of such a programme. “Fair play trophy ” awards – there was discussion about these trophies. Concerns were raised about the wide spectrum of possibilities viz. Fair play to friendship; and also concerns that the trophy should be easier for Boys or for Girls. APELS will also be holding a conference in Paris 27th to 29th November 2013, Any interested Countries are invited to contact them via their website www.apels.org if they would like further information. On the same date the Educasport World Forum will be held in Paris. The Agence Pour l’Education par Le Sport (Agency for Education through sport) will be staging the forum, the first Social Sport World event in France. The aim of this forum is to gather stakeholders from a sport education background, as well as casting a wider net to encompass social and solidarity actors. Since the meeting in Turkey, the ISF Management Committee has agreed a memorandum of understanding with the International Olympic Academy, based in Greece. It is hoped to considerably develop activities in conjunction with the IOA. The various Sport Specific Technical Commissions are attempting to further develop their relationships with appropriate International Sports Federations (viz. BWF, FIBA, ITU). It now looks likely that the basketball technical commission will introduce a 3 v 3 event quite soon – perhaps in China? The advice paper prepared for the Sport Accord conference in St Petersburg – will be circulated for interest and for comment. Membership – 68 countries have paid affiliations. 6 countries have defaulted, and these were named. Membership fees are to rise by 10%. PAN AM School Games have produced a good surplus. However, with the loss of the Ferraro sponsorship – there is a 50.000 Euros hole in the budget. A considerable amount time of the Executive Meeting was allocated to the very important and significant report, commissioned by the Executive on ISF Marketing and Communication. HAVAS – the International Sports and Entertainment Consultancy, based in Paris. The Executive welcomed the Report, and recognise the importance of the Report. The Report suggests that ISF needs to ensure that it is more widely recognised, by ensuring better clarification of its work, and better branding of itself. “ISF – We are School Sport “ would be used on all branding; and a new logo developed. There are many other aspects, but I urge readers to read through what I believe was an impressive presentation. Was also discussed at the executive meeting. Please check the ISF website for the latest dates and details of Events. 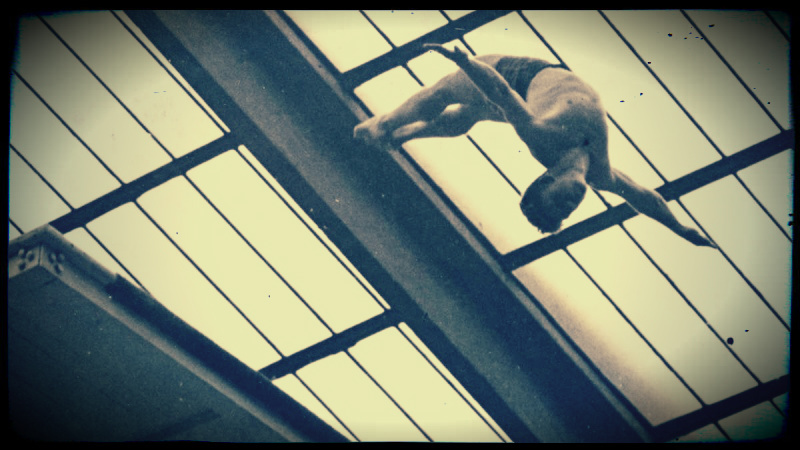 A major change is to accommodate the ISF Gymnasiade events in athletics/swimming and gymnastics, in years in which there will not be ISF sport specific events being held. There continue to be some concerns about the recent change in the age groups for certain sports. It has become clear from the many event reports – that there has been a ‘step up’ in both the quality of event management, and importantly in the numbers participating in all ISF events. With the committed interest by China in being involved in most sports and the growth and development of South and Central American school sport – the technical commissions were reporting no shortage of interest either in participating country or in the hosting of most events. Five events are being planned under the Aegis of the ISF – Floorball; Beach Volleyball; Golf; Triathlon; and Futsal. There is also an ongoing discussion about a future 7 aside rugby event. With 7aside rugby now part of the Olympic programme, and also on a practical individual school basis – surely the schools in the UK should consider following the French schools approach of 7 aside rugby becoming the way that school engage with the sport?! My personal view! The next ISF Executive meeting will be held in Brasilia, Brazil 2nd – 6th December. This meeting is being staged alongside the ISF Gymnasiade. ← Spotlight is switched on again!